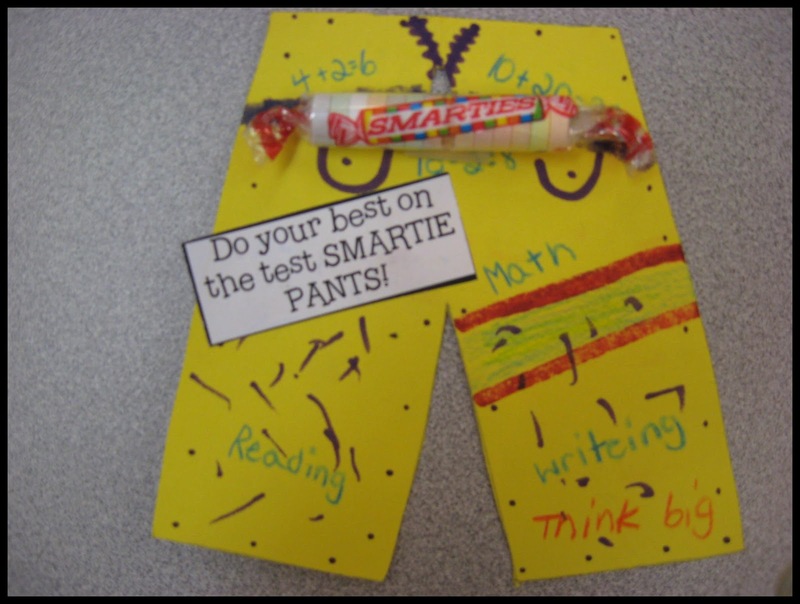 Teaching With Love and Laughter: Smartie Pants! 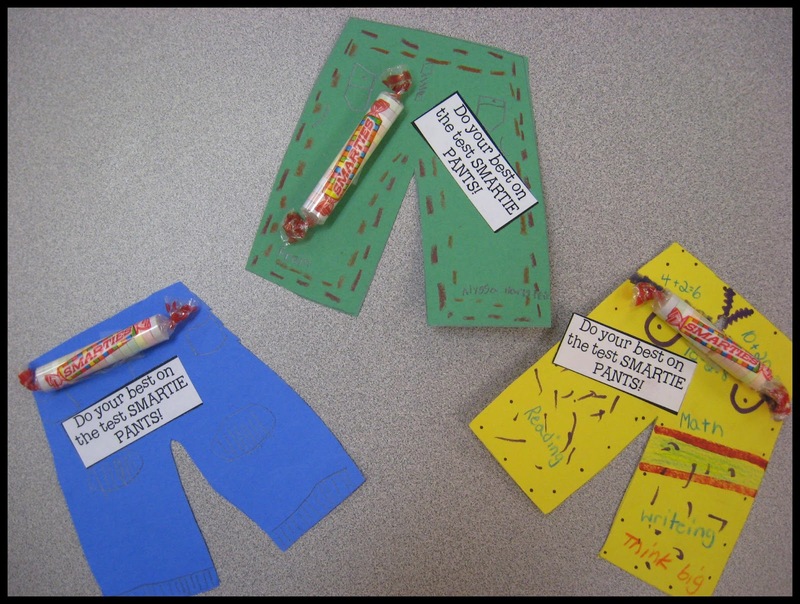 Some of them went all out, decorating the pants with patches, rhinestones, and fancy designs. They are looking forward to handing them to their intermediate buddies. What does your school do to wish the children well on their tests? I'd love to get some more ideas. Thanks! Jen, I just uploaded the labels to my blog if you want to use them. Thanks, Tiffany! I really love the idea and the children had such fun creating the pants. I also had my students make them for their own older siblings if they were not in the adopted class. They were so happy to receive them! SO CUTE! I've seen so many great ideas lately for test "perk me ups"! 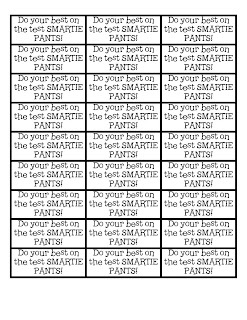 Last year 2nd grade made posters for our upstairs test takers, but I'm thinking we should definitely do something like THIS for our BIG test week coming up. Our kids would LOVE making the, and I know the older kids would LOVE getting them! Thanks for sharing! Hey, you're supposed to be resting! LOL! I guess blog stalking is kind of like resting! Posters are cute, too. Very motivating. Feel better! And yes, blog stalking is SO TOTALLY resting! Just laying here with the laptop in my lap! No exertion or stress whatsoever. BTW we put the posters around the bathrooms, so they would see them when/if they took breaks! (last year our tests weren't timed, so the older students pretty much tested ALL DAY) yuck! Sorry for the LOL! No more funnies from me! I love posters in the bathroom. I have a whole bunch hanging in my classroom bathroom. My students walk out of there all the time reciting poems and rhymes. Awwww.....that is too stinkin' cute!!! Last year we "adopted" my son's 5th grade class (my daughter was in my class, so it was a super fun match up - plus we had like 7 other sets of siblings between the 2 classes!!). Each day we took them in a little treat and note about 30 minutes prior to their testing. One day is was mini donuts (Do-nut freak out - just do your best!). One day Pop Rocks (do your best to ROCK the test!). Blow pops (Don't blow it - you're almost finished!). I can't remember the other 2. I'll have to check my school computer! The kids all loved it!! (And I THINK the 5th grade teacher did too, but he's a man, and they don't say much about the froofy cuteness, lol). Deb, thanks for the cute ideas! I love all the cute sayings and will have to add these next year. I like the idea about doing one thing a day. And, too funny about the male teacher. It's the same in my school! But, sometimes, the females don't go for the cuteness either! We do the same kind of thing at our school. The upper grades love it when we bring them little treats. We usually sing a song to go with it...too cute! There are tons of great ideas on pinterest...I am a slave to that site! Ha! Ha! I hear you! I'm a pinning fool! Thanks for the comment, Jen! I love this for our buddies! I have seen this for teachers to give to their students, but I had not thought about it being for buddies - simply fabulous! I'm glad you like it, Erica! I've gotten some other great ideas from this post! Barbara, one of the parents in my class said the same thing! She had no idea what Smarties were when I told her about the activity. She's from Canada, too. I just saw your guest post over at Kindergarten Lifestyle and I loved it. Thanks, Shuna! 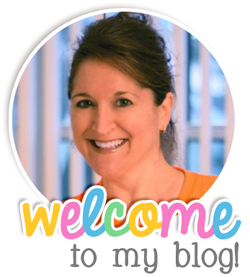 I would love to be a guest blogger! Thanks for the offer!